Less than 24 hours after Oakland teachers voted for a new contract and ended a seven-day strike, the Oakland School Board narrowly approved nearly $22 million in cuts to next year's budget. After hearing hours of impassioned pleas from students and other community members to preserve funding, the school board voted 4-3 in favor of the measure. The cuts will eliminate about 90 administrative jobs and nearly 60 support service positions, including restorative justice facilitators and foster youth counselors. 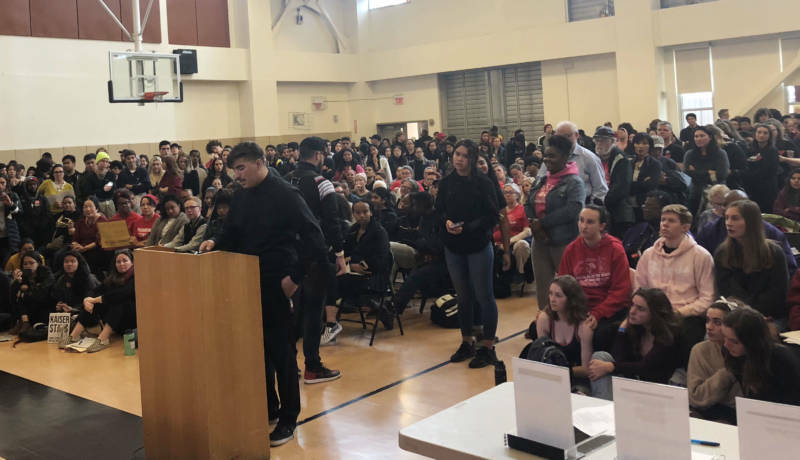 Even as most of their peers returned to class on Monday morning, for the first time in more than a week, hundreds of students packed the meeting in La Escuelita Elementary School's auditorium to voice their opposition to the cuts. Chanting “Hey, hey! Ho, ho! Budget cuts have to go!” students demanded that popular programs, like the district's restorative justice conflict resolution initiative, be preserved. "A lot of students do feel betrayed," said Skyline High 10th-grader Alexander Hinojosa, noting his frustration that the teachers union hadn't pushed back more to ensure cuts weren't made. "We worked really hard to help them protest. A lot of students showed support. And for us not to get what we want, it makes no sense." District officials, though, say the cuts are necessary to help stabilize its finances and pay for the raises teachers are receiving in the newly ratified contract. The district is up against a $9 million deficit this year, $6 million next year and $15.7 million the year after, according to a new analysis by the Fiscal Crisis and Management Assistance Team. And those figures don’t account for costs related to the raises teachers are receiving as part of the new contract. “What I want to make clear to folks is that this raise that teachers ratified yesterday is dependent on the school board making the reduction to next year’s budget,” said school board member Jody London, before she was interrupted by booing and shouting from the mostly student attendees in the hall. 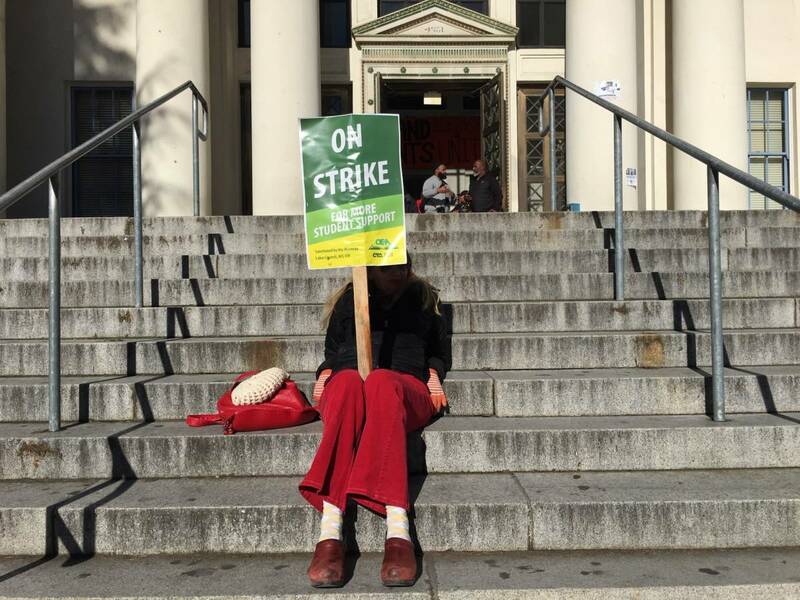 The night before, the Oakland Education Association announced that 58 percent of its members had voted to approve salary raises totaling 11 percent over four years and modest class size reductions, effectively ending the strike. Each 1 percent pay increase for teachers and other school employees costs roughly $3.5 million, according to the district. Follow our coverage of the strikes, closures and more. This was the school board's third attempt to vote on the cuts in less than a week. Two previous efforts were cancelled amid security concerns after protestors blocked board members from entering the building. Johnson-Trammell said the district would try to secure funding through nonprofits and local public entities to save some of the programs on the chopping block. She noted that while the district was on the right track, some difficult decisions still lay ahead. "I understand the sense of urgency to fix all of our long-standing fiscal and systems issues, but the reality is that it will take a few years to stabilize the district,” she said.